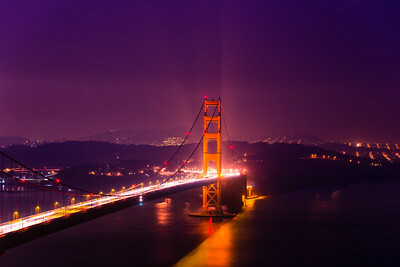 The Golden Gate Bridge before dawn. 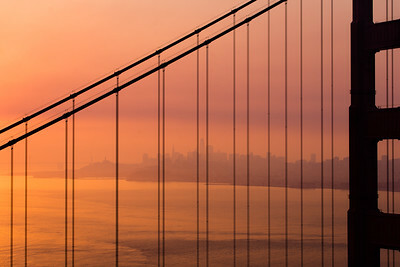 To the north, the devastating Napa/Sonoma wildfires of October 2017 raged on, producing a thick smoky haze, through which the bridge and city lights diffused. 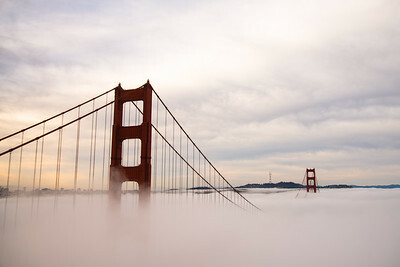 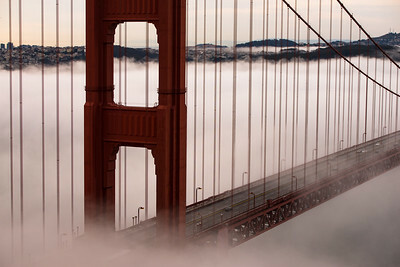 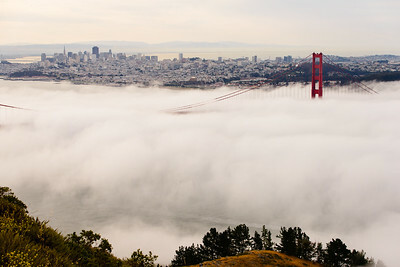 The San Francisco city skyline over the Golden Gate Bridge. 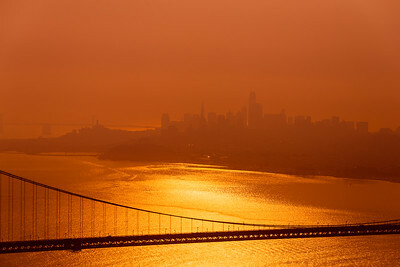 To the north, the devastating Napa/Sonoma wildfires of October 2017 raged on, producing a thick smoky haze, rendering the city into an indistinct mirage. 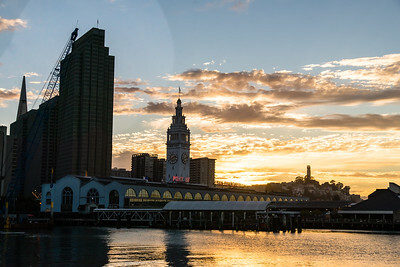 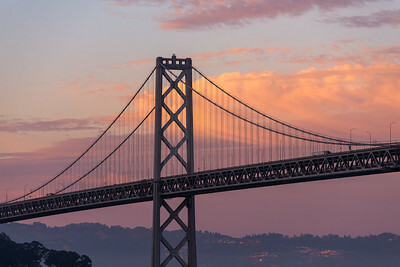 The Golden Gate Bridge and downtown San Francisco skyline at dawn. 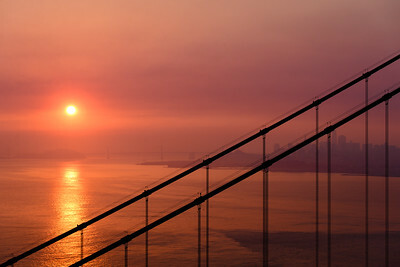 To the north, the devastating Napa/Sonoma wildfires of October 2017 raged on, producing a thick smoky haze and brilliant red colors. 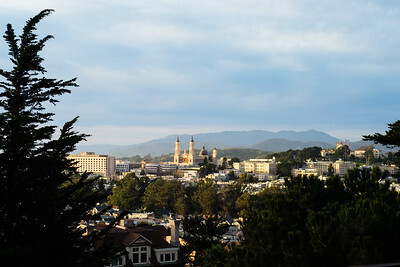 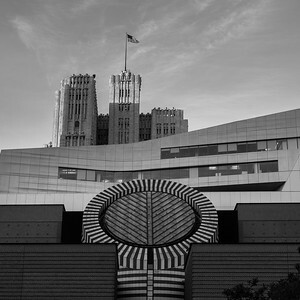 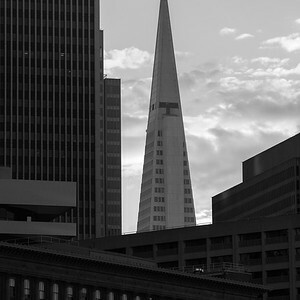 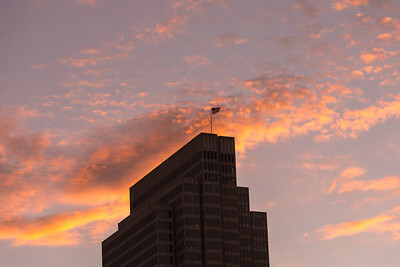 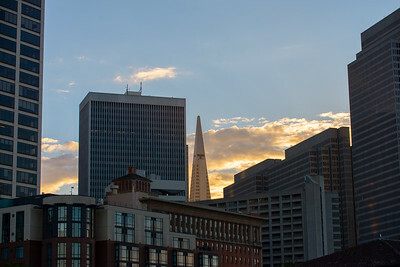 San Francisco Civic Center through Financial District, from the south, with the Mission District in the foreground. 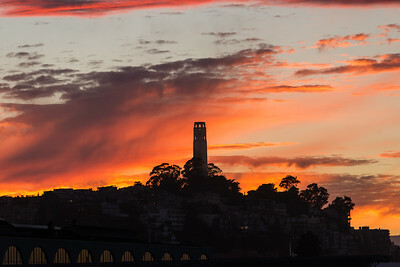 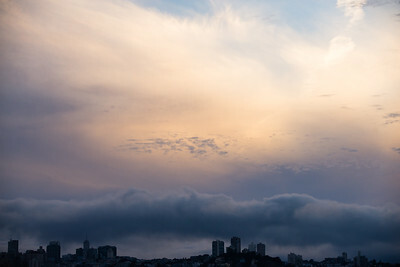 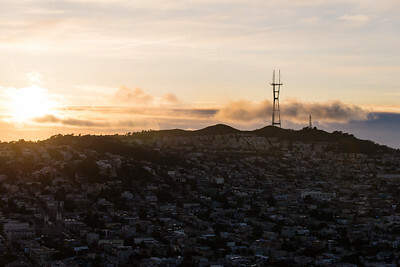 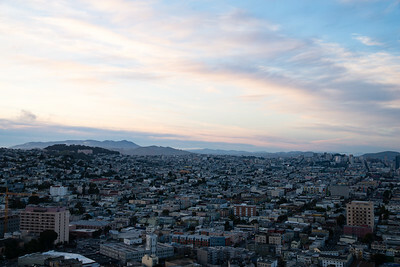 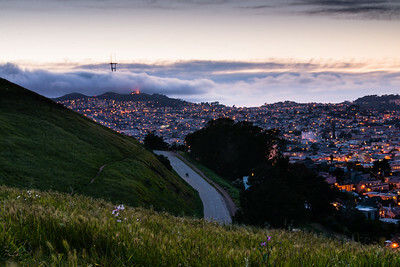 Sutro Tower at sunset, amidst a fog bank, atop Twin Peaks.